HIPAA always has one very significant objective in its operation: to protect the information regarding the health condition of all its patients. Of course, the privacy of the medical history of every patient is ideal, and a minor breach of the same means breaking the law. For this reason, it is necessary to consult a patient before releasing their medical report or history, which is why there are many Medical Forms available for use. 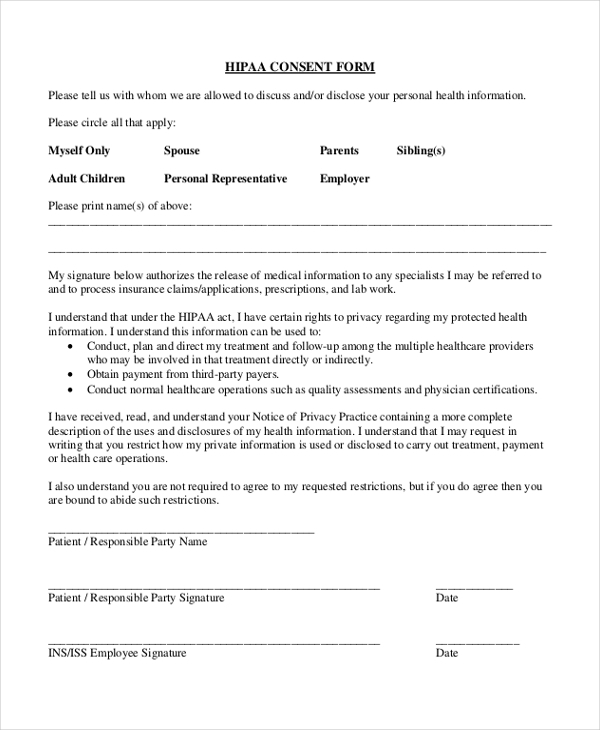 Following is a list of free HIPAA forms that you can download and use whenever the need arise. A dermatologist can and should only release the information of a patient’s medical history after doing a consultation. 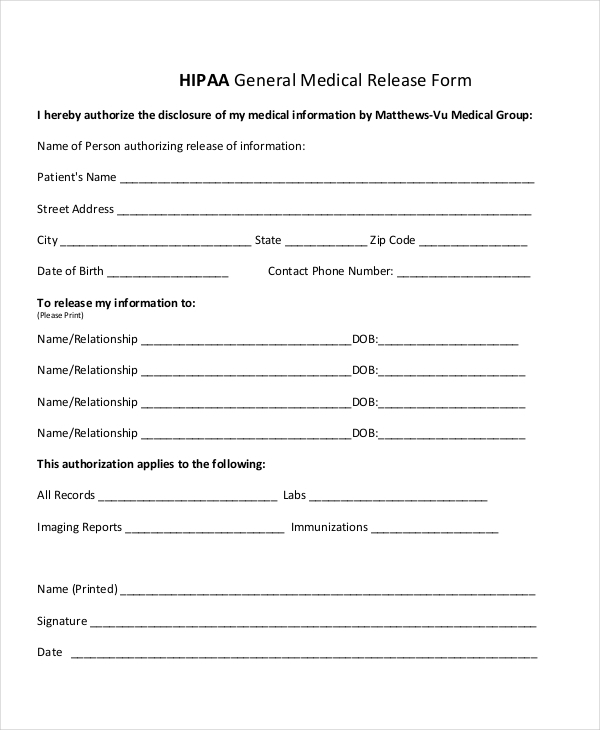 The medic can use this form to request for the general release of medical history when the need for such information arises. It is impossible to use private and protected health information of an individual unless you get the permission to do so from them. In that case, you can use this file to get the authorization to use a patient’s medical history in whatever way agreed. The name of the person authorizing the release of their medical information must appear on this document. 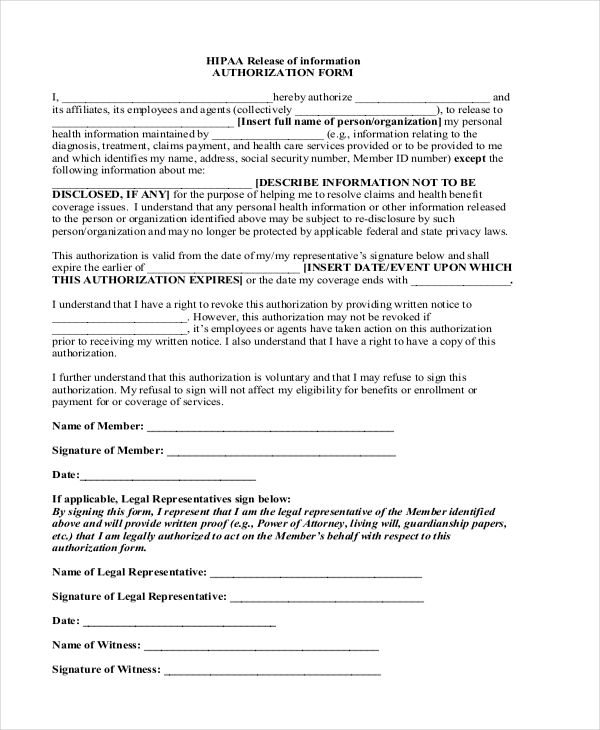 The individual filling out the form must also highlight the relationship between him or her and the people requesting the information. Unless a patient agrees that you can use their information for a public medical reason, the HIPAA law does not allow you to do so in any way whatsoever. 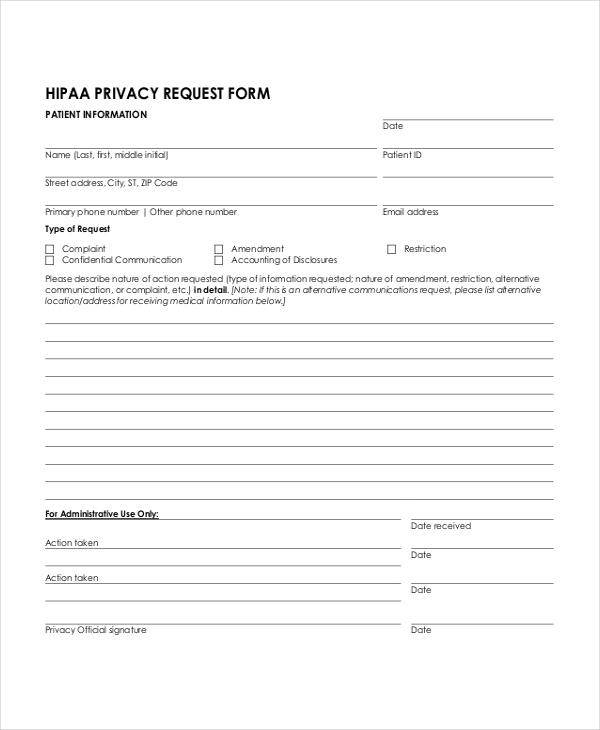 If you would like to get the permission to use the medical records, as the patient to fill this form for HIPAA release. 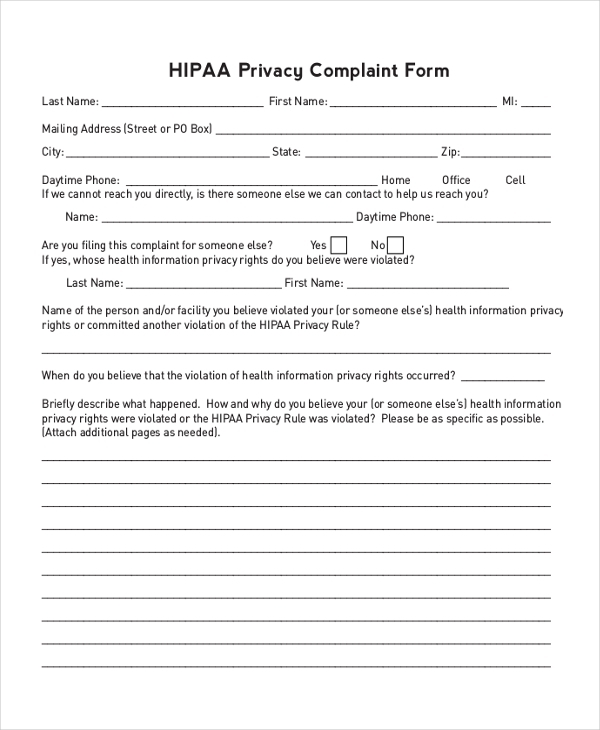 Did you know that this HIPAA form is absolutely free? You do not need to pay any amount of money to get access to this file, but you need to convince patients to give you access to their medical records. The only way to get access to a patient’s medical record is to get the patient to fill out an HIPAA release form. 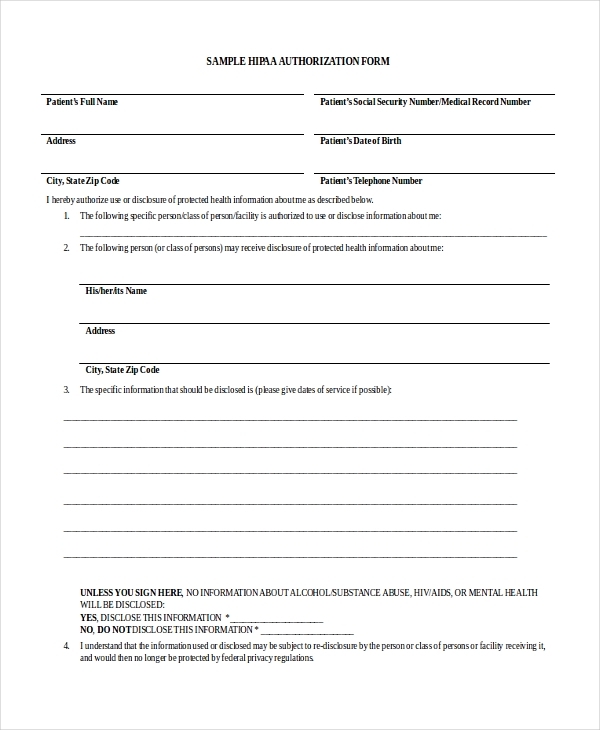 You can download this form and use for free. It is possible that you are a patient that does not want their health records leaked to anyone. In that case, you can fill an HIPAA waiver form, so that they know that you never want anyone to have access to your medical information either now or in the future. This is the best form that you can download for free and use to request for medical authorization. Of course, the form is easy to fill out and you don’t need to customize it because it is already up to the standards. If you are hoping to get some sample medical report for analysis or research, you can’t just walk into HIPAA and ask them to pull out the records of so and so. 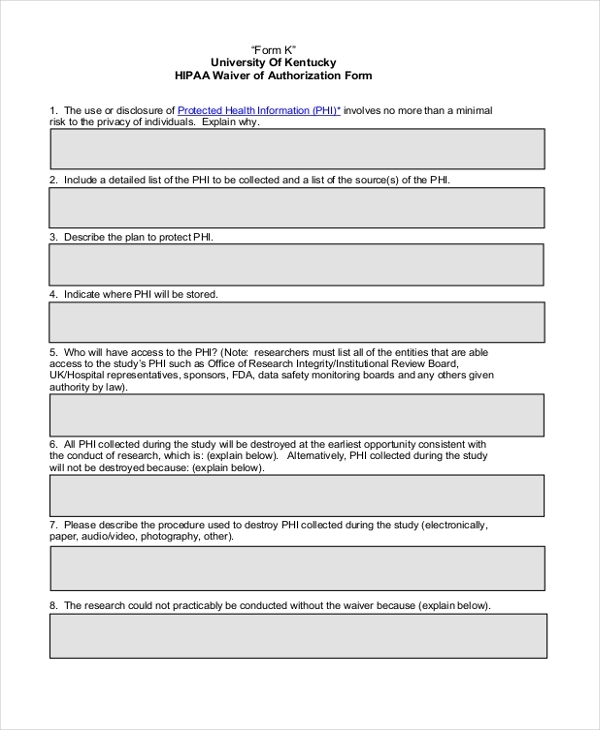 You must use this form to get an authorization from a patient first. There are many reasons why you may want to use sample medical history of particular patients, but you cannot use their medical history for whatever purpose until you get the permission from individual patients. This form can help you try your luck. 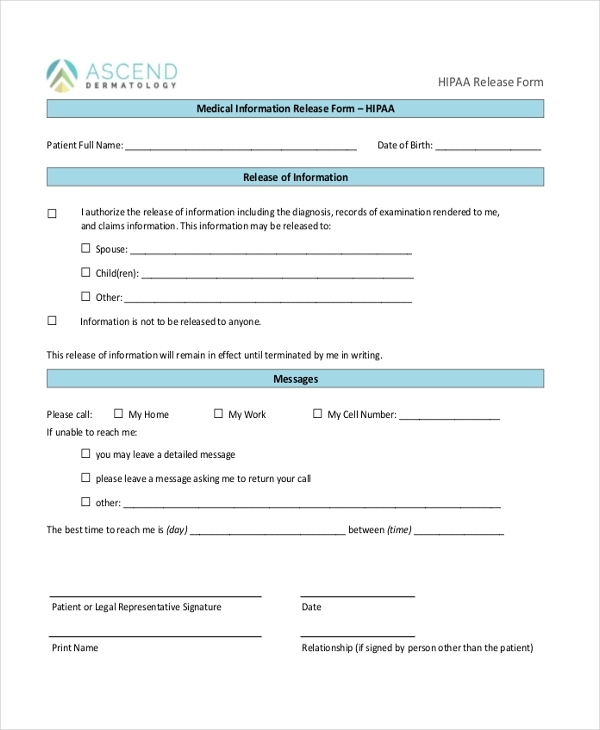 It is possible that you want to use the medical information for a group of patients in the medical business, but you will need an authorization from the patients in question to be able to access and use their medical records, and the only way to do that is to use this form. Medics interested in using patients’ medical history for medical investigation are the primary target of the HIPAA forms. It is important to remember that these forms are meant to help you seek for consent and authorization, but at the end of the day, it is up to the patient in question to decide whether to fill the form or not. 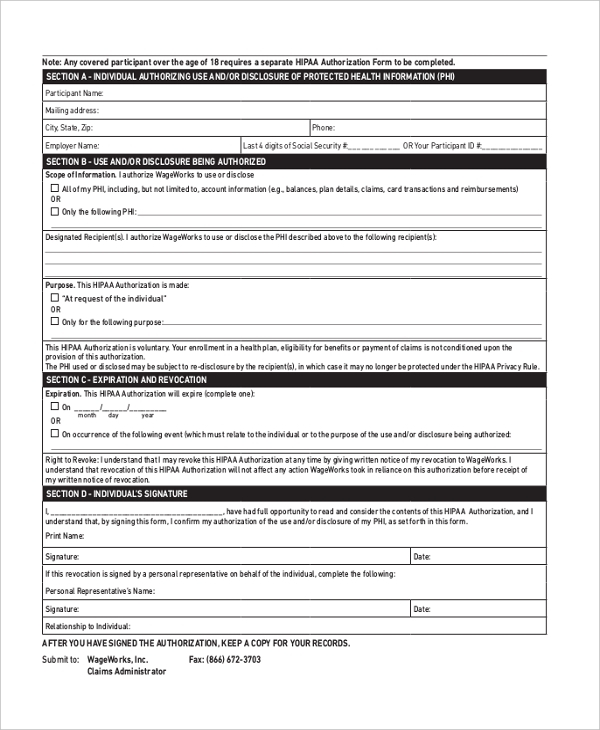 You may also see Medical Consent Forms. It is easy to think that you can pull out a patient’s medical file and screen their medical history for medical or personal use. Well, that is a flawed thought because unless you have the consent of a patient to use their information, you can never use their report, history, or whatever. That is why you need this form to fill out an authorization request. 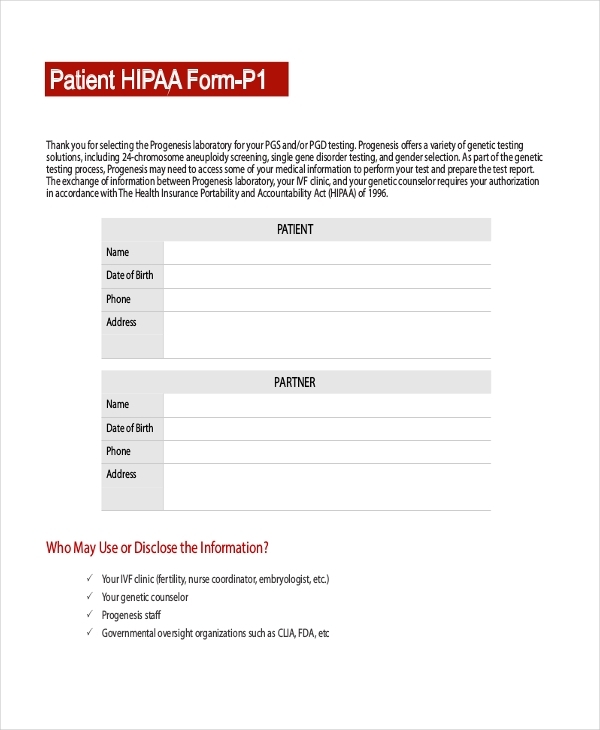 The most import thing about sample HIPAA form is that they are the only gateway to getting the information you need for medical research or personal use. 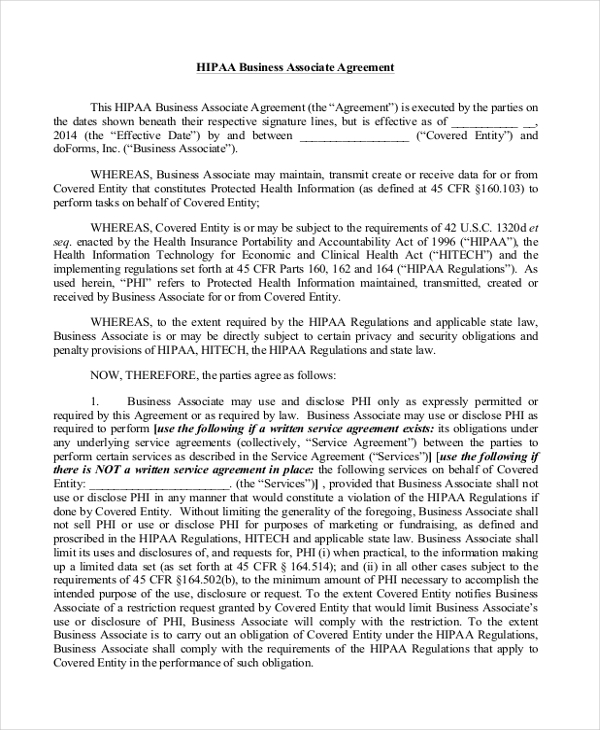 The HIPAA laws also protect patients from breach of medical history, which means if you are a patient, you can request the HIPAA never to share your information with anyone. You can also see Medical Application Forms. You probably wish you would get the information you need immediately, but that’s not always possible with the case of medical information. You have to work hand in hand with a patient to get access to their information. Unless they agree, you will never have access to the information you need.